One of the key defences of capitalism is that everyone has the same opportunities. The argument runs roughly as follows: there may have been discrimination against women or people of a different skin colour in the past, but this has now been overcome. Anyone can succeed, and if you do not succeed it must be because you are untalented or lazy. We hear a similar argument applied to art. Now that the best director Oscar has now been won (once) by a women (Kathryn Bigelow, 2009) and by a black man (Steve McQueen, 2014), surely this shows that women and people of colour have been assimilated into the film industry and that discrimination is a thing of the past. The underlying figures show that despite these two individual triumphs, we still have some way to go: only 7% of Hollywood directors are black and fewer than 5% are female. The predominance of white men in this year’s Oscar nominations is greater than for decades. We see a similar trend towards inequality in all areas of art. You would have thought that pop music was available to everyone, yet a study from 2014 showed that the majority of British musicians attended private schools (which account for 7% of all school students). Due to high tuition fees, low wages and enforced jobs for the unemployed, very few people without private income have the time or space to develop artistically. The film industry has experienced a number of concrete developments which have encouraged conservatism. In the 1980s, the Reagan administration offered tax-free subsidies to major investors in US film. This resulted in Disney’s market share increasing fivefold within a decade. In the same period, wages in the film industry sank by 17%. The US was not the only country subsidising investment in film. Directors receive non-repayable loans for filming in Great Britain and Ireland. Eastern European countries like Romania, Bulgaria and Hungary also provide infrastructure such as technically perfect studio facilities. Even Germany, Italy and France are granting increasing financial subsidies. The new finance models have an impact on the art produced. For a start, the cost of film production has soared. Even accounting for inflation, 44 of the 50 most expensive films ever made were produced in the last decade. Only one was made prior to 1995. Modern Hollywood is epitomised in the films of Michael Bay. His “Transformers” series is dominated by mindless special effects, likened by film critic Mark Kermode to “being hit over the head with a bank balance”. While it is increasingly difficult to obtain funding for innovative films, conservatism pays dividends. 31 of the 50 most expensive films are sequels, and a further 6 are remakes or adaptations of tv series, and even a board game (“Battleships”). This means that three-quarters of the most successful films just reheated old ideas. It is sometimes argued that lower costs for technical equipment provide film makers with more independence from Hollywood. The film usually cited in this argument is Robert Rodriguez’s film “El Mariachi” which allegedly only cost $7,000 to make. It’s not as simple as that. The version of Rodriguez’s film which actually was shown in the cinema cost much more to produce. Columbia Pictures provided an extra $200,000 for a new cut, and splashed out millions on marketing. The main message of the marketing was “this is the $7,000 film”. It was only possible to succeed with this message because the market was not flooded with low cost films. 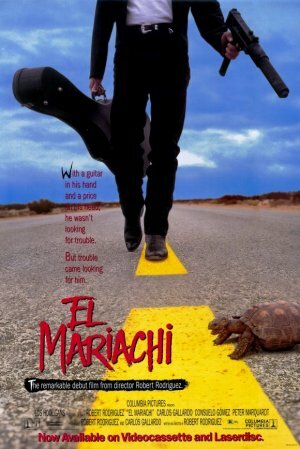 It would just not be profitable to repeat a project like “El Mariachi”. It may be worth mentioning here that Rodriguez’s most recent film “Sin City 2: A Dame to Kill For” had a budget of $65 million. It is theoretically possible that because of cheaper technology, all films could cost less to make – yet a film must find an audience if it is to regain its costs. Because of the concentration of capital and the trend towards private financing, film is more dependent than ever on marketing, which binds an increasing percentage of directors to the Hollywood industry. Under capitalism, film is necessarily part of big business. Large corporations invest in film in order to accumulate profit. Individual nation states see the establishment of a film industry as a useful tool in international economic competition. Any artistic value is subordinated to these goals. Blockbusters with production costs exceeding €200 million may be risky investments but they offer high rewards on capital. “Avatar” cost $237 million to make but returned $2,278 million at the box office, a return on capital of 1,100%. Avatar’s marketing budget of €150 million was unprecedented, which in itself is an expression of how competition has become much tougher. Like any other business, the film industry is subject to constant change. The most dramatic changes for Hollywood have come through the development of new technology, such as the rise of television after World War II. The Hollywood studios responded by increasingly relying on blockbuster special effects and new technologies such as 3D and CinemaScope. Another reaction was to raise ticket prices, which have doubled in the last 20 years. Just as the novel’s development reflects its birth in the early days of capitalism, the film is the child of industrial capitalism. The first films were made in late 19th Century France, at the high point of Empire. As capitalism spread across the world, new major film industries developed, such as Bollywood in Bombay (now Mumbai) and Nollywood in Nigeria. The way in which films are produced contradicts the old stereotype of the individual artistic genius. Notwithstanding “Auteur theory”, film making has always been a collective process. At the end of nearly every film you see a long list of hundreds of names, each of which has made an artistic contribution towards the film. Under capitalism, most of these jobs are hierarchically organised and precariously paid. Most workers in the film industry oscillate between unemployment and badly paid work. Cinematographers in Hollywood are paid less than $25 – and that is when they have work. Actresses and actors have an even less stable working life. Their unemployment rate is 90%, and almost all rely on part-time jobs to survive. Capitalist society may make it difficult to be creative, but some innovations are still possible. In a class society, there is always a tension between the ruling ideas (which, according to Marx, are always the “ideas of the ruling class”) and our everyday experience. Indeed much of the most challenging art comes out of this contradiction. We see some of these contradictions in our cinemas. So far, so terrible, but at the same time the film is a scathing critique of capitalism. The villain Lord Business, is overthrown by a rainbow coalition. The directors Christopher Miller and Phil Lord explained: “we wanted to make an anti-totalitarian film for children. Something that was talking about the importance of freedom and innovation in keeping society honest.” The film website Vulture called the film “Practically Communist”. 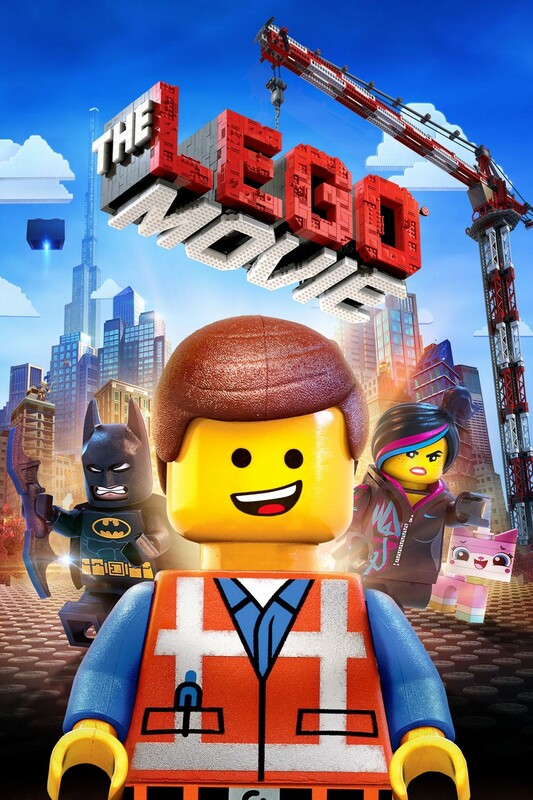 “The Lego Movie” is not socialist – Miller and Lord are libertarians, who pride themselves on provoking opponents on the left and right. And yet their success shows that capitalism is so market-orientated that it can even allow films which ridicule the drive for profit – as long as these films make a profit themselves. “Still The Enemy Within” is a film that is in many ways much less cynical that “The Lego Movie”. 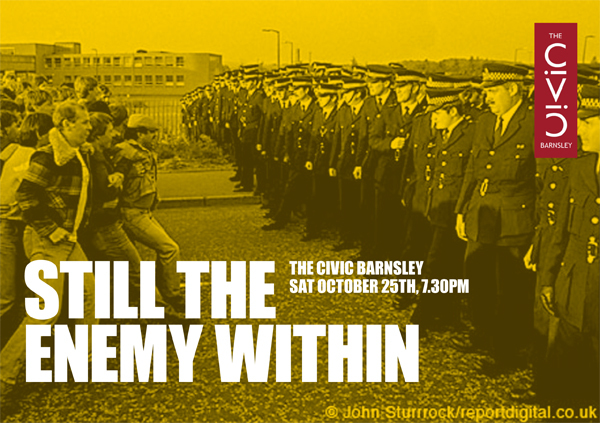 A moving documentary about the 1984/5 British miners’ strike, it was not financed by Hollywood millions, but by a crowdfunding project which raised £80,000 from trade unions and individual activists. Crowdfunding is a finance model which has become increasingly widespread. As traditional funding has become more conservative, radical film makers have raised money by crowdfunding in an attempt to maintain control over the content of their films. However it would be wrong to assume that this freed them entirely from the constraints of the capitalist market. Sinead Kirwan, producer of “Still the Enemy Within” explains the process: “as mainstream funding is cut, more and more established film makers are turning to crowd funding which can push out smaller newer film makers. Also you have to have some personal resources before you start crowd funding as you need to work on this full time”. Progressive film-making cannot just be seen in small indie arthouse projects. Let’s look at one of the classics. Just about everyone knows the key scene from “Spartacus”: the rebellious slave Spartacus is due to be crucified alongside other insurgents. Roman soldiers say that they will spare all the others, if they betray Spartacus. Suddenly someone shouts “I am Spartacus”. He is gradually joined by others until everyone is shouting their solidarity with the leader of the revolt. Less well known is the political history of the film. 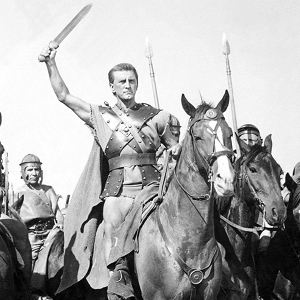 The screenplay for “Spartacus” was written by Dalton Trumbo, one of the “Hollywood Ten”. These were ten scriptwriters who were banned from working in cinema during the communist witch hunt of Senator Joseph McCarthy. They had to use pseudonyms or employ fronts to get any work in the industry. The McCarthyist purge did not just affect actors and screenwriters. Engineers and technicians could not use fronts circumvent the ban, and were condemned to unemployment during the McCarthy era. That is, until “Spartacus”, which was the first film to list blacklisted workers on the end credits. Unable to take on everyone, McCarthy gave in. Solidarity had prevailed. “Spartacus,” “The Lego Movie” and “Still The Enemy Within” have all made their own significant contribution towards the production of progressive and challenging films. Yet only “Spartacus” was able to shift the balance of power within the film industry. This has ultimately less to do with the quality of the individual films, but with the prevailing social conditions. “Spartacus” was filmed in 1960. Martin Luther King’s Civil Rights movement was on the rise, and many film makers (from directors to technicians) were part of this movement. They saw a natural connection between the three fights for justice, for better working conditions, and for better art. We cannot properly ask who has access to art without also asking who holds power in our society. Under capitalism, we are unable to realize our full potential. But in our attempt to realize this potential, we can produce both a better society and better art. The original version of this review appeared in marx21 magazine Issue 39, Spring 2015. An online version is available at http://marx21.de/kunst-braucht-bewegung/.